Orange Is the New Black.Netflix hits it out of the ballpark (or the prison yard) with this dramedy based on the memoir of a newly-engaged NYC WASP who is sent to a federal prison where must quickly learn to adapt to prison culture. She is a fish out of water living in a fishbowl, which makes for great laughs and some serious reflection on the humanity of inmates. I was hesitant to recommend this show because of it's graphic sexual content and language. But I decided that would be akin to self-censorship, so here is my disclaimer: this is not a show for the easily-offended or prudish. 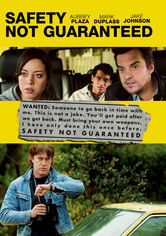 Safety Not Guaranteed.This move defies classification into typical film genres. It's sort of a romantic comedy if you consider a pair of social outcasts falling in love to be romantic. It's sort of a thriller if you consider a band of misfit journalists investigating a time-traveling weirdo to be thrilling. Basically you have to be an oddball to appreciate this movie. I am and I did. It's whacky funny! The Details. It wasn't bad, it wasn't great. That's a shame for a film jam packed with acclaimed actors. Tobey Maguire's quivering lips and marble-sized tears (ever notice how huge his tear drops are when he cries on camera?!) plays a douche-bag husband who commits a series of transgressions that ruins several lives. It's supposed to be a dark comedy, but I found it to be more disturbing than twisted funny. i have heard of the orange is the new black and it looks super interesting! We totally watched Safety Not Guaranteed and enjoyed it just recently, and when we saw the preview for Orange Is the New Black, we were like heyyyy. I'm not one for too much cussin' but I'm willing to overlook it. I'd love to check out the first one. If you have to be an oddball to like Safety Not Guaranteed, I can assume I'll like it! 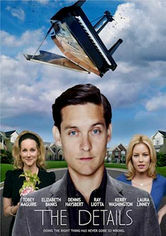 I'm having trouble picturing Tobey Maquire as a douche-bag character.... Maybe that's because I haven't seen him in anything since Spiderman! I was wondering about "Orange is the New Black" and "Safety Not Guaranteed", and now that I've read what you thought about them, Teresha, I'm going to scope them out! Thanks!